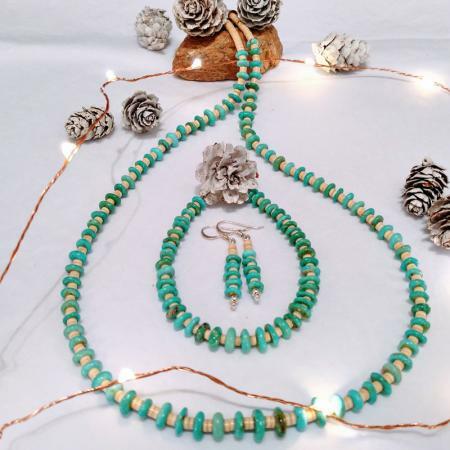 This melon shell and turquoise necklace consists of hand drilled and polished Arizona turquoise nuggets strung with hand cut melon shell heishi beads. 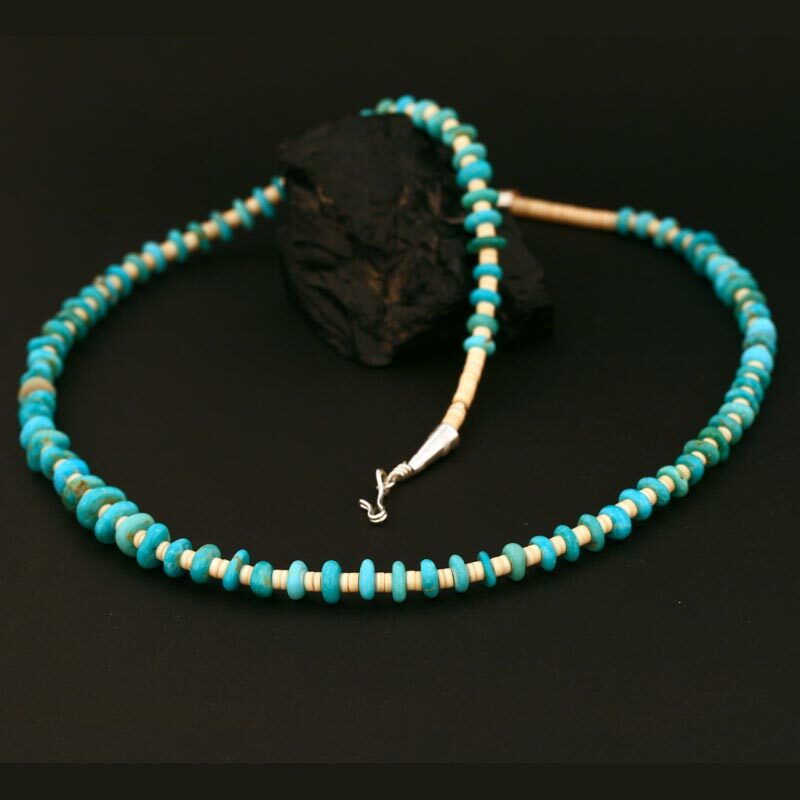 This necklace measures 55cm in length and is finished with sterling silver cones and fastener. 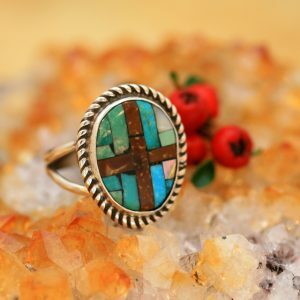 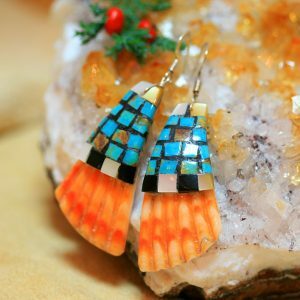 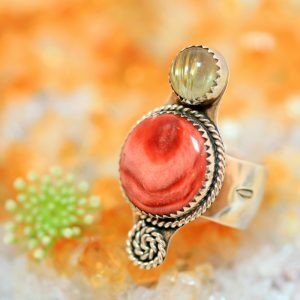 It is skilfully handmade by Harvey and Janie Chavez of the Kewa Pueblo tribe.